No hidden fees & all inclusive prices. Guaranteed! If you are looking for a quality moving service in Hudson County, then look no further than Vector Movers NJ. 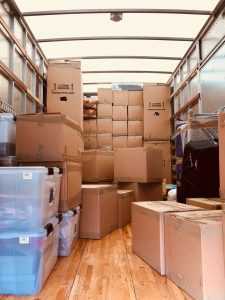 Our movers Hudson County NJ, have a reputation for quality work that is also affordable. Vector Movers services can be customized to meet your exact needs. Don’t pay more than you need. Pay for the services that are quoted and not a penny more, with a guarantee of no hidden fees. This Hudson moving company is capable of specialty services like piano moving and high-end furniture moving. We even provide help with the relocation of fine art and other precious valuables. We are bonded, insured, and licensed to transport your home to a new location, regardless if it is local and only a mile down the road or 1,000 miles down the road for a long distance haul. Vector Moving is among the top moving companies Hudson County NJ has to offer. Why Should You Choose Hudson Moving Services? Our moving company is a top-rated business that has been highly accepted in the community. Our Better Business Bureau (BBB) rating is an A+ and our Yelp reviews are 5 stars. These ratings are from our customers and feel free to read them to determine what people really think. A seamless transition in any of the most stressful situations you can imagine is guaranteed. We are committed to excellence in all that we do here in Hudson County. 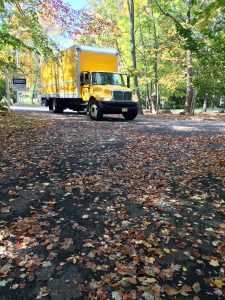 Other moving companies Hudson County NJ has don’t even come close to the quality Vector Movers offer. You should hire professionals that care about your move and needs. We are certain that you will be completely satisfied from start-to-finish. We train our employees on the Vector Movers philosophy and we ensure that you will have highly-trained and efficient movers treating your goods with utmost care. You don’t want a couple of guys and a truck, but rather highly skilled and dedicated moving specialists that truly care about your moving needs. Our movers Hudson County NJ provide all-inclusive moving services along with storage service, for your needs. One month of storage for free is provided with your quote. We also provide specialized services for rare, expensive, or extremely fragile items that need special handling. Pianos and high-end art pieces are items we can move flawlessly. During our loading and unloading, we wrap items and provide cushioning where it is needed most. We are always on-time and we are never done with the job until you are completely satisfied. Whether you are moving out of Jersey City or Bayonne, we have the services and the skills to get the job done quickly and at a fair price. Our dedicated movers Hudson County NJ can provide you with a detailed quote that has no hidden agenda. We can pack for you or you can do the packing and leave the heavy lifting and driving to us. It doesn’t matter if we are moving your family home or your family business. Tell us what you require from us and we will make sure that we make those requests become a reality. Our job is not complete until we have exceeded your expectations. Packing and shipping are part of the package, but maybe you also require storage for a short period of time. Just ask, as we can usually accommodate any requests for storage and then a secondary move from storage to your new location. We provide 30 days of free storage. We will unpack and unwrap the furniture and place it in the areas that you designate. The process is highly efficient and seamless on your end. You call the shots and we aim to please. Long-distance relocation is expected to be more stressful than a local move. Your planning skills have to be impeccable to approach such a complex task. 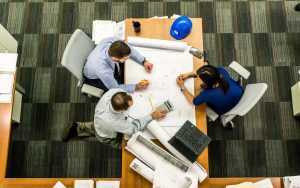 If you are relocating a large house or business and, on top of that, you have no previous experience, you are more likely to make a mistake that will cost you a lot of money. Fortunately, our capable long-distance movers NJ have years of experience in the relocation business and they would never let you down. Think about your safety – hire the most trustworthy movers Hudson County NJ currently has. Vector Moving is a local NJ moving company that knows its territory much better than movers from any other state. If you are staying in New Jersey, call your neighbors to help you. Do not take a local move less seriously than a long-distance one and work with professionals to achieve the best results. We assure you that you won’t find better local moving companies in NJ than us. Trust us with your home moving and business moving needs. We are a fast-growing company that has been recommended by word-of-mouth and not misleading advertising. Our reviews speak for themselves and we hope that you will also speak highly of us after your move. That is why our movers Hudson County NJ will bend over backward to provide the services and treatment that you deserve. Our company would like to have you as a customer for life. We want you to be repeat customers and we want your friends and family to call us for any of their impending moves. Our reputation is all that we have as a moving company and we want Vector Movers NJ to stand for quality and dependability. If you are not completely satisfied with any particular aspect of our service, please let us know so we can try and make it right. We want New Jersey to be proud to have us in their state and we want you to feel proud as one of our customers. We want to be the movers Hudson County NJ is the proudest of. Contact our movers Hudson County NJ, and rest assured that we will take care of your entire move, trouble-free and for the best price. Call us at Vector Movers for a specialized quote to address your moving and storage needs. You can also fill out our online form to get a free moving estimate from one of our relocation experts. No matter how big or how small the job, we are the one to call on at 201-266-3666 or here on the site that you are visiting. Check the request a quote box and we can get you a quote online with no hidden fees. Let’s talk about the county itself. Before you plan a cross-country move to Hudson County, find out what to expect in this part of New Jersey. Hudson County is located in northwestern New Jersey, west of the lower Hudson River. It has 12 cities and covers 46 square miles which makes it the smallest NJ county, based on land area. The county seat and the largest city in Hudson County is Jersey City. With a population of almost 700,000, this is the 4th most populous county in NJ. It is the fastest-growing and most densely populated county in NJ. With 14,974 residents per square mile, it is also one of the most densely populated counties in the country. It consists of twelve municipalities, all served by our movers Hudson County NJ. Hudson County is almost completely surrounded by water. The only county which it shares a land border with is Bergen County. Many successful companies have their headquarters in Hudson County. There are many elementary schools and high schools, both public and private. Each municipality has its own public school district and all except two have public high schools. When it comes to colleges and universities, there are the Hudson County Community College, Saint Peter’s University, New Jersey City University, and Stevens Institute of Technology in Hoboken. Hudson County offers a variety of reliable transportation options for its residents and visitors. Train, plane, ferry or car – the choice is yours. Hudson County is Northeast’s major transportation crossroads. A lot of long-distance buses and trains pass through Hudson County, as well as many many local, intrastate and Manhattan-bound bus lines and trains. Numerous public and private corporations operate public transportation, and each of them charges customers separately. This is the only NJ county in which there are fewer people who drive than those who use public transportation. Besides, this county has some of the most walkable cities in the US. Therefore, a car is not a necessity. Even though it is a business hub, living in New Jersey is not all about work. Hudson county lies in the center of New York metropolitan area – New York City is directly across the river, just a mile away. 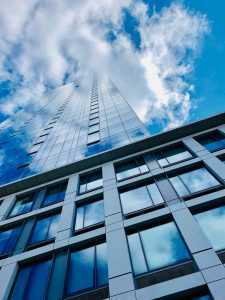 Thanks to its location, in Hudson County you can enjoy stunning Manhattan skyline views and easy access to the iconic Statue of Liberty and other famous landmarks. Hudson has many beautiful county parks. Some of them are Mercer Park, Lincoln Park, Hudson County Park, Washington Park, Columbus Park, and North Hudson Park, West Hudson Park, and Laurel Hill. Moreover, there are many municipal parks and plazas, such as Church Square Park, Hamilton Park, and Ellsworth Park. Jersey City Reservoir No.3 and Pershing Field make one of the biggest green spaces in the county. Promenades such as The Hudson River Waterfront Walkway and Hackensack RiverWalk lie along the rivers. Liberty State Park is the county’s largest. The famous Ellis Island and Liberty Island, where the Statue of Liberty is located, lie across from Liberty State Park. Moving to New Jersey is a great opportunity to explore its rich history and culture. You can visit the county’s museums, private galleries, and other exhibitions spaces. Some of them focus on local history, culture, or the environment. Some of these fascinating institutions exhibit permanent art collections. There are many events throughout the year that focus on architecture, local artists or ethnic culture. We suggest visiting the Hoboken Historical Museum or exploring the Revolutionary War bunker and 350 years of history at the Harsimus Cemetery in Jersey City. Also, there is the Afro-American Historical and Cultural Society Museum, Ellis Island Immigration Museum, Bayonne Community Museum, Saints Peter’s College Art Gallery and the Museum of Russian Art. Additionally, there is Mana Contemporary – a collaborative community that brings art, music, and dance together. If you like music (and who doesn’t) there are many outdoor concerts and festivals, such as Groove on Grove. Attend one of many annual events, such as the annual Jersey City freedom fireworks festival where you can enjoy live music on two stages, amusement rides as well as a variety of dishes and drinks. Furthermore, you can listen to jazz music at The Riverview Jazz Festival, learn about other cultures at Harrison Fest, celebrate the arts in Bayonne at The Bridge Arts Festival, or have fun at the Annual Jersey City LGBT Pride Festival in downtown Jersey City. Average temperatures in Jersey City range from 27 °F (?3 °C) in January to 84 °F (29 °C) in July. A record low of ?15 °F (?26 °C) was recorded in 1934 while a record high of 106 °F (41 °C) was recorded two years later. Average monthly precipitation ranges from 3.21 inches (82 mm) in February to 4.60 inches (117 mm) in July. These movers rocked. They were the lowest price estimate, great with communication (responsive, thorough, no surprises), and moved us quickly on the hottest day of the year. As your moving solutions specialist, we offer an array of moving services to meet your needs. Whether you are moving across the country or just across the street, we can help you get there. Our local movers are efficient, careful, friendly and always on time. Our long distance movers have 20 years of combined experience to ensure a smooth move. With proper planning, our home movers will take the stress out of your complex move. Our office movers approach every job with experience and a strong dedication. Our movers & packers can help you to pack your belongings professionally. We are always here to help you. We go extra mile to move you smoothly and stress-free.